CALL FOR YOUR FREE DEMO TODAY! 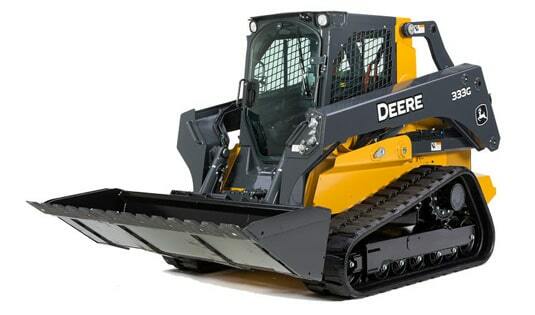 Explore skid steers from John Deere. Compare against the competition and view the various applicable attachments. With minimum footprint and maximum versatility, these John Deere compact excavators give big results for your projects. View John Deere Compact Track Loader specs and compare against the competition. View the applicable attachments. - 26G Compact Excavator: Full Comprehensive Warranty for 60 months and 3000 hours. Financing offer of $579.00 per month. 10% down payment required.1.75% interest rate. Payment includes insurance, warranty and fees for the term. Offer ends June 30th 2019. 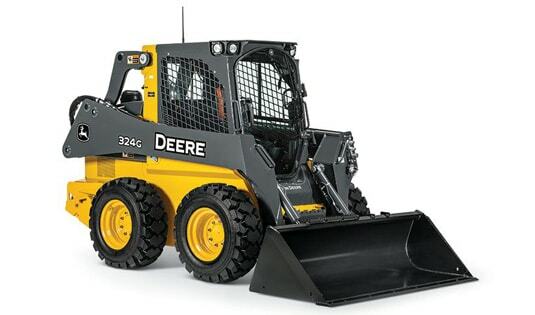 - 324G Skid Steer: Full Comprehensive Warranty for 60 months and 3000 hours. Financing offer of $729.00 per month. 10% down payment required. 1.75% interest rate. Payment includes insurance, warranty and fees for the term. Offer ends June 30th 2019. - 333G Track Loader: Full Comprehensive Warranty for 60 months and 3000 hours. Financing offer of $1,379.00 per month. 10% down payment required. 1.75% interest rate. Payment includes insurance, warranty and fees for the term. Offer ends June 30th 2019. Subject to approved installment credit with John Deere Financial. Offer includes new John Deere skid steers, compact track loaders, compact excavators, and compact wheel loaders. Some restrictions apply. Other offers available. Residency Restrictions apply. See your local John Deere dealer for complete details and other financing options. For commercial use only. Offer valid at participating dealers only. Some restrictions may apply. See your dealer for complete details. **Must be a member of a participating state Farm Bureau® and have a valid GreenFleet™ account. 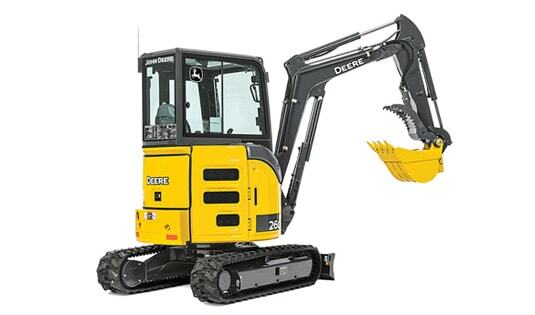 ***As of June 30th, 2019, applies to purchases of new John Deere skid steers, compact track loaders, compact excavators, and compact wheel loaders from John Deere or authorized John Deere dealers. Warranty expires two years after the delivery receipt date or after 2,000 machine hours, whichever occurs first. Offer valid at participating dealers only. Some restrictions may apply. See your dealer for complete details. Offer ends 6/30/2019. Subject to approved installment credit with John Deere Financial. Package payment based on 10% down and 1.75% APR for 60 months. Taxes could increase the monthly payment. Photo for illustrative purposes only, actual equipment may vary. Price and model availability vary by dealer. Some restrictions apply. †Manufacturer's estimate of power (ISO) per 97/68/EC. *Price includes 30 month/3000 hour (whichever comes first) Comprehensive Warranty. See United Ag & Turf for details. With amped-up specs and a wide variety of options, the John Deere 316GR has what it takes to fit the way you work, wherever you work. The two-speed option provides faster transport speeds to help boot productivity.